The Aitutaki Lagoon Private Island Resort in the Cook Islands is for sale. This slice of paradise comes at a cost, though, and is on the market for $23 million (£17 million). The luxury resort comes with 36 bungalows, restaurants, bars, pools, and a gym. There are 45 years left on the lease. The Aitutaki Lagoon Private Island Resort in the Cook Islands is on the market - and if you have $23 million to spare, it looks pretty stunning. 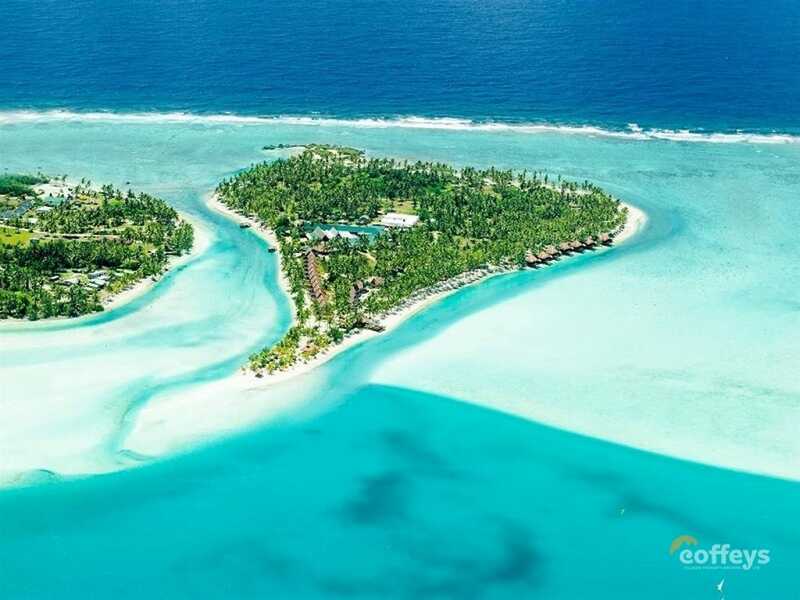 The 27-acre private island resort - which claims to be a popular tourist and honeymoon spot - comes with 36 bungalows, a spa, air conditioned gym, swimming pool, water sports hut, restaurants and bars, and a gift shop, according to the listing on Coffeys Tourism Property Brokers. The resort is a two-minute ride by a small private ferry from the main island of Aitutaki, according to Booking.com. Aitutaki island is a 45-minute flight from the neighbouring island of Rarotonga. Naturally, this slice of paradise comes at a cost. It's on sale for $32,290,000 (NZD), equivalent to around $23 million or £17 million, plus Cook Islands government taxes if applicable. 14 of the resort's 36 bungalows are beachfront, with nine "premium" beachfront, seven overwater, five "deluxe" beachfront, and one "royal honeymoon" pool villa. They look pretty luxurious inside. Below, one room features a four-poster bed with white drapes, which offsets the polished wooden finish of the floor, furniture, and shutters. Some of the thatched beachfront bungalows offer pretty nice-looking views of the Aitutaki lagoon. You can download the full prospectus here. The bathroom pictured below features his and hers sinks and is decorated with local Polynesian flowers and shells. On top of the bungalows, you'll find a swimming pool, two restaurants and bars, a spa, an air conditioned gym, a water sports hut, and a gift shop. The sale of the South Pacific resort comes with a 60-year lease that began in 2003, so it has 45 years left. It's renewable upon agreement with the landowner, the listing says. It's worth mentioning that there are restrictions on foreign ownership, so, should you have a spare $23 million in the bank, you're advised to seek advice from local counsel before making any rash decisions. But it does look like paradise.